I thought I would share with you one of my other activities besides weaving rugs. For exercise, I row in a single shell. 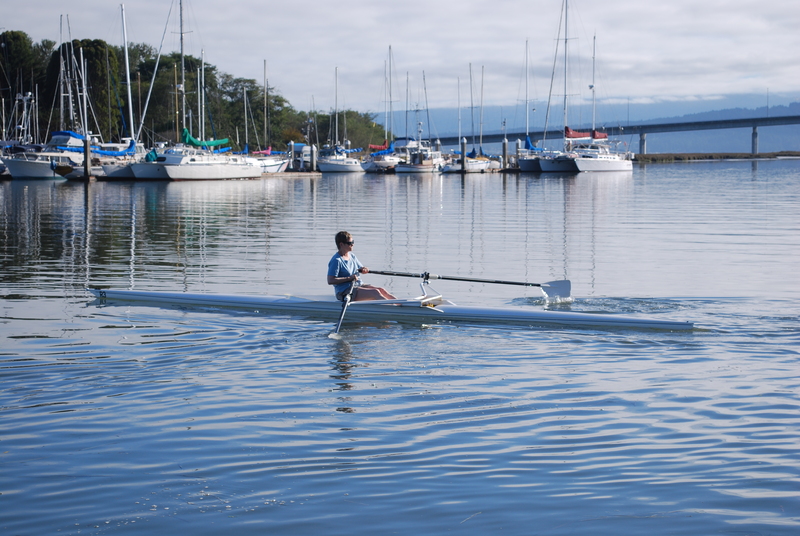 Here in Eureka, California we are very lucky to have the Humboldt Bay Rowing Association. It was founded in 1987 by a few of us who had been rowing for about two years. It just can’t be beat for exercise, and even though we row in the same places, there is always variety in tidal conditions, currents, other boat traffic, and especially the kinds of birds we see on any given day. Some of the birds out there are sea gulls, brown pelicans, common loons, Canada geese, brant geese, grebes, terns, scoters, kingfishers, various ducks, etc. We have harbor seals in our bay and they are very curious about the boats and pop up to look at us with big brown eyes. Weather permitting, I row with friends three or four mornings a week. 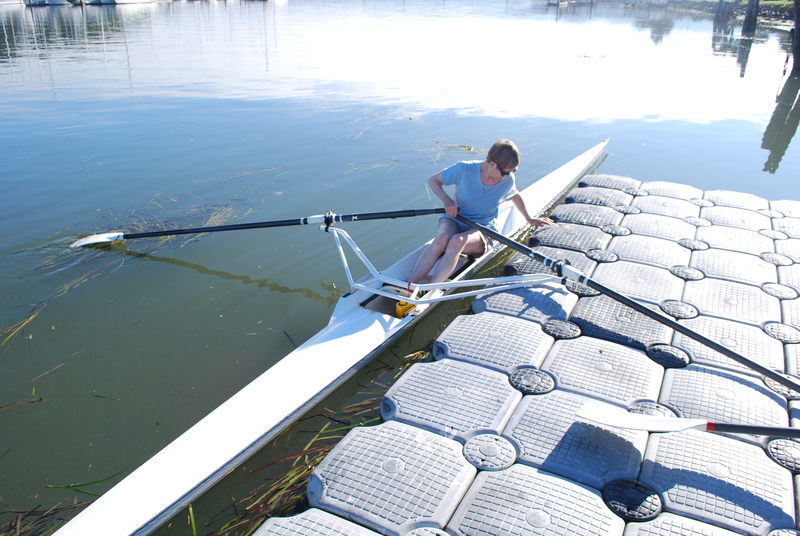 Rowing keeps me fit for operating my big rug loom. 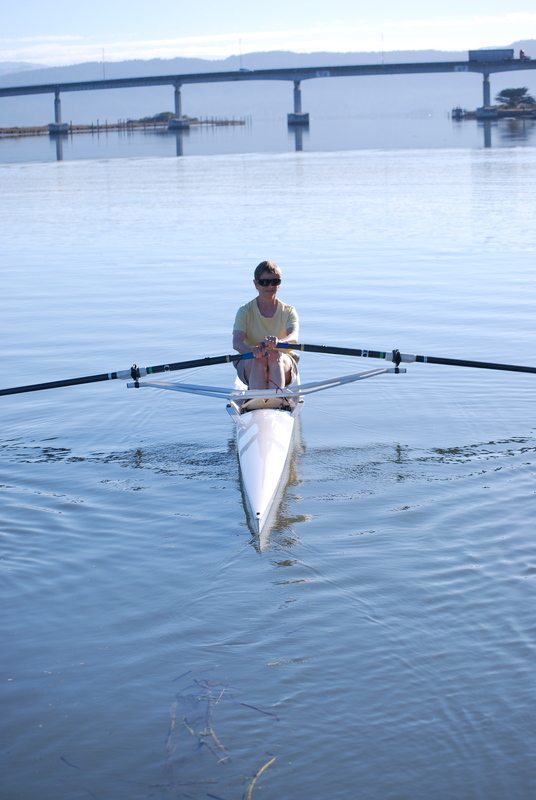 It works out most muscle groups and is always an exercise in balance, as the boats I row in range in length from 24 feet to 27 feet long, and they are 16-1/2 inches wide. They are quite tippy, so it takes paying attention to business when I’m out there on the water. Here are some photos of me rowing.